Ignatian spirituality is for everyday life. It insists that God is present in our world and active in our lives. It is a pathway to deeper prayer, good decisions guided by keen discernment, and an active life of service to others. Fr. Richard Rohr is a globally recognized ecumenical teacher bearing witness to the universal awakening within mystical and transformational traditions. 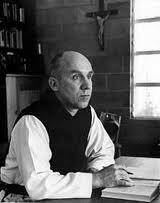 A Franciscan priest of the New Mexico Province, and founder of the Center for Action and Contemplation (CAC) in Albuquerque, New Mexico, home of the Rohr Institute, his teaching is grounded in practices of contemplation and lived kenosis (self-emptying), expressing itself in radical compassion, particularly for the socially marginalized. Richard describes his 7 themes. Ronald Rolheiser, a Roman Catholic priest and member of the Missionary Oblates of Mary Immaculate, is president of the Oblate School of Theology in San Antonio, Texas. For much of his priesthood, he taught theology and philosophy at Newman Theological College in Edmonton Alberta. From 1998–2004 he served his religious community, The Missionary Oblates of Mary Immaculate, on their General Administration. In August 2005, he began a five-year assignment as the President of the Oblate School of Theology in San Antonio, Texas.